Originally born in Wausau, WI, Dylan moved to Milwaukee three years ago after transferring to play baseball for the University of Wisconsin-Milwaukee Panthers. 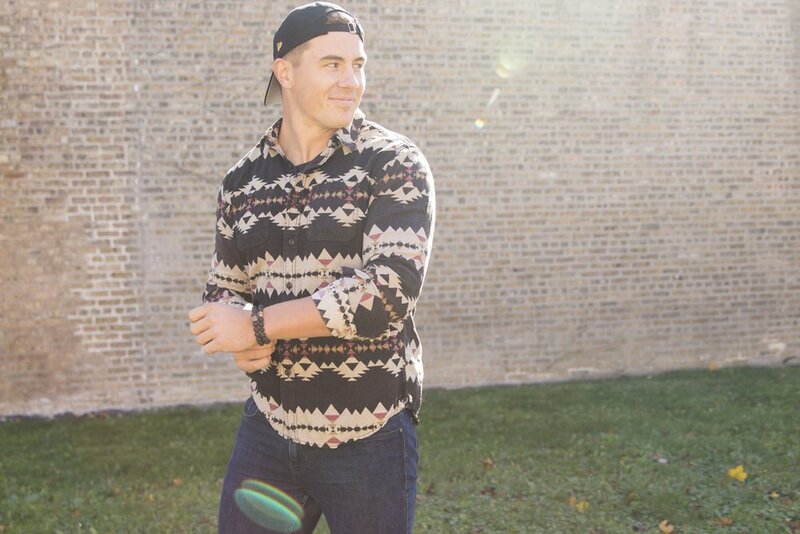 Currently in his final year of school, Dylan is majoring in Supply Chain Operations Management as well as Marketing. After working a few corporate internships, Dylan came to Infinite Warrior looking to make a difference in a small company that he believed in. Coming from a small town and settling in the Milwaukee area has given Dylan a wide range of experiences and his interests are very scattered. He loves the outdoors, including fishing at his cottage in Minocqua, WI and kayaking the Milwaukee River through downtown with his friends and family. You can also find him hitting the links quite often as well as cheering on his two favorite sports teams, the Bucks and the Packers. However, his main passion and interest lies in music. Often burning CD’s for his friends in High School, Dylan began a love for music, and especially electronic dance music (EDM) as a young teen. While living in both Madison and Milwaukee, Dylan has attended nearly 100 shows and has become intertwined with the artists and members of the music communities. Some of his favorite acts include The Chainsmokers, Marshmello, Big Gigantic, and local acts including Crystal Knives and RCKT PWR. 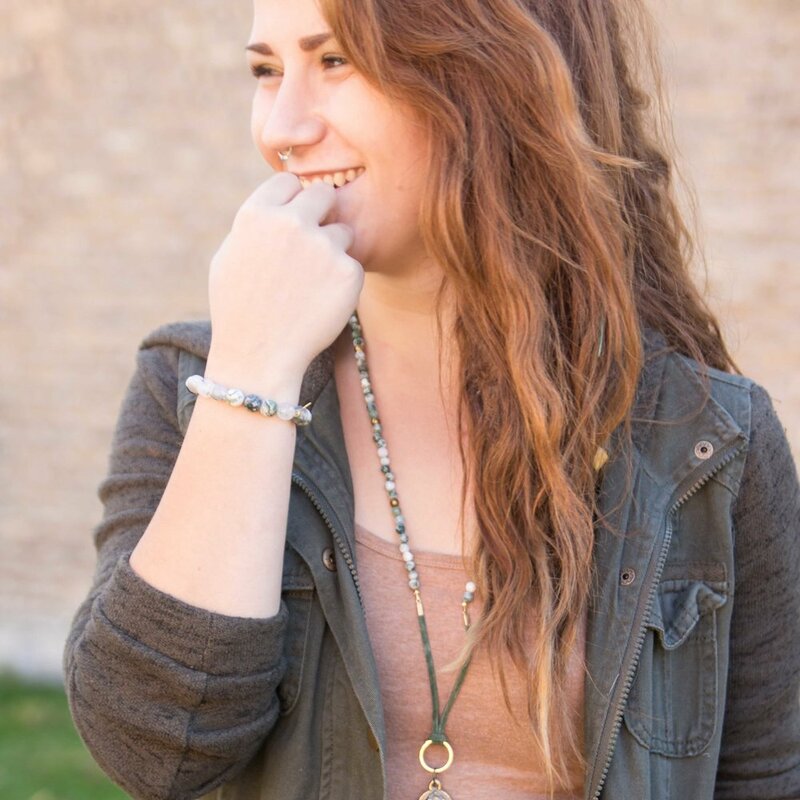 Maddy's main focus as a team member of Infinite Warrior is to come up with new or re-imagined designs that continue to incorporate the healing properties of semi-precious stones, and the ideals of health and wellness. Maddy enjoys the freedom she has to practice her creative process. Sometimes a piece you come across at Infinite Warrior may have had several prototypes that came before it, before we, as a team, tweaked it into perfection. Maddy's opportunity to create beautiful pieces of wearable art that are also helpful aids in everyday life and spirituality is a unique one that she is overjoyed about. She thanks the universe for this gift every day she goes in to work. Madison born and Milwaukee raised, Maddy spent her younger years playing soccer, participating in art, and being immersed in theater culture. Her parents both had professions in the local theater scene at the Milwaukee Rep. Her father being a well respected actor, and her mother a director, Maddy spent many weekends shadowing her parents around the theater, and rarely missed one of her father's performances. Being exposed to this environment has heavily influenced the creative spark within Maddy, and has stayed with her as she continues to grow, making Infinite Warrior a perfect fit for her current stage in life. Outside of the work shop, Maddy enjoys spending her time with her hula hoop, relaxing with her bunny, and playing with her two cats. Most of all though, Maddy's favorite way to spend her time is with her best friend, her rock, and her twin flame, Trevor. Whether they cruise around the northern streets of Wisconsin, take a day trip to local treasures such as Pewits Nest state forest, end up at the bowling lanes, or just stretched out on the couch watching seasons of a show at a time, it's all the same to them as long as they're by each others side, ready to face life's next adventure. Amanda oversees the Etsy shop as well as inventory, project management, and health & wellness information for Infinite Warrior. Her favorite part of working with Infinite Warrior is seeing the healing effects of the stones and knowing that these bracelets are truly helping people all over the world. She has first hand experienced their healing properties and is always eager to share her story with others. Amanda received her bachelor of science in Nutrition and Community Health from The Ohio State University and is currently finishing her master’s degree in Health Education and Promotion from the University of Alabama. She is incredibly passionate about supporting local, organic agriculture and sustainable living practices. Outside of Infinite Warrior, Amanda loves to cook, garden, and do yoga – restorative is her favorite class. She spends her free time with her husband, Joel, and Basset Hound, George, and they are eagerly awaiting the arrival of their baby girl!